Adorable 4 bdrm, 3 full bath ranch home with basement. Inside you will find a master suite w/jacuzzi tub, shower, double sink vanity, walk-in closet, surround sound and vault ceilings. Living rm/dining rm combo, mudd rm, sitting rm, 2 car attached garage, rec rm/family rm, storage rm and 2 potential bedrooms in basement. Home features 2 HVAC systems and 2 water heaters. Updates include: flooring, paint, bath room vanity, 1 HVAC system new 2/2019 and 2nd HVAC system approx 3 years old, new 2/2019 water softener system and more. 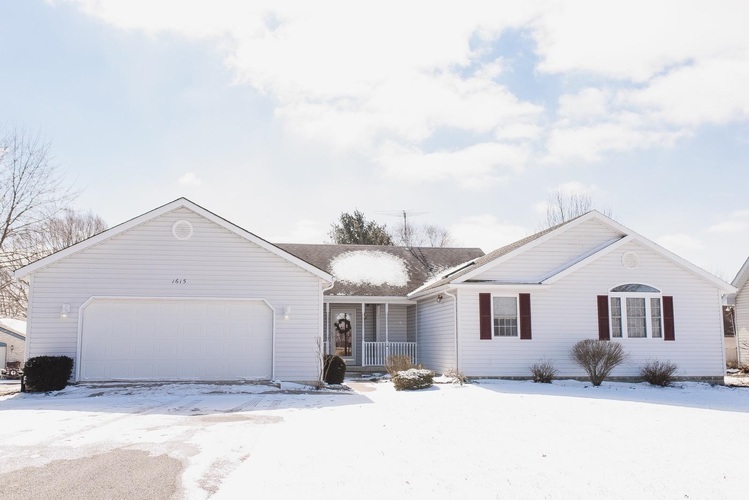 Located in the country on the edge of town and easy access to US 31 for a quick commute to Indy, Carmel, Kokomo and surrounding areas. See this one TODAY!!!!! Directions:From US 31 turn East on Division Road for approx 4 miles and proceed to property.